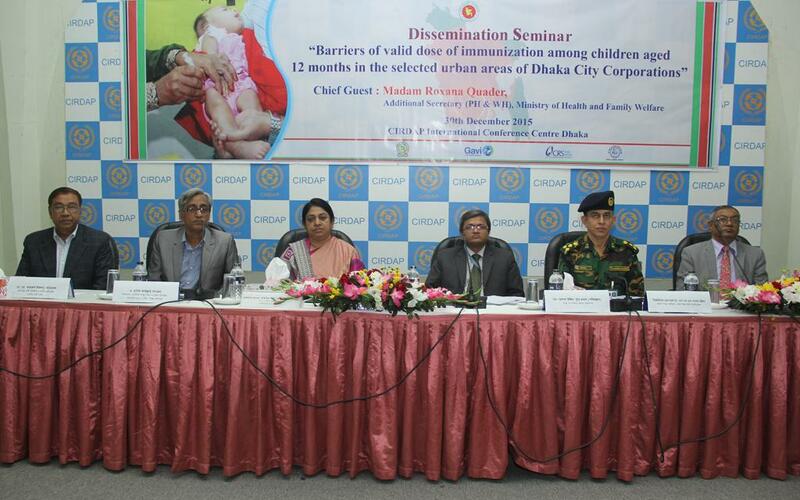 Dignitaries of the Dissemination Seminar of Research findings on 'Barriers of valid dose of immunization among children aged 12 months in the selected areas of Dhaka City Corporation. CEC & General Members in the "Welcome Meeting for the new members of IPCSB"
Bangladesh is a leading country in immunization coverage and activity. Yet there is considerable deficit in valid dose of immunization and challenge for sustainable high level coverage, Therefore a civil society of NGOs would be working alongside the MOH& FW, EPI and MOLGRD activity. 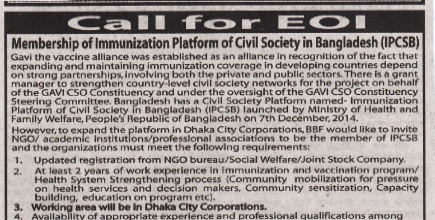 Bangladesh Breastfeeding Foundation (BBF) with the support of Global Alliance for Vaccination and Immunization (GAVI) & Catholic Relief Services (CRS) has established a Civil Society NGO Platform called ‘Immunization Platform of Civil Society in Bangladesh (IPCSB)’. 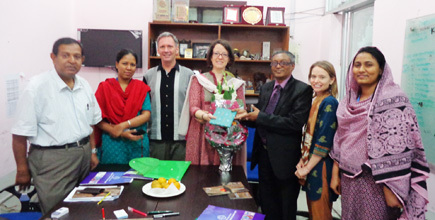 The objective of this platform is to strengthen the health systems of the Government of Bangladesh in achieving excellence of immunization with NGOs who are engaged in immunization work. 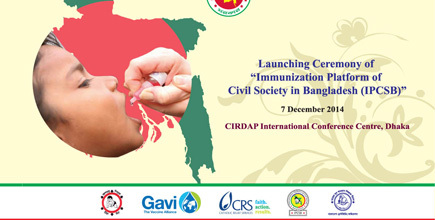 Bangladesh is a leading country in immunization coverage and activity. Yet there is considerable deficit in valid dose of immunization and challenge for sustainable high level coverage, Therefore a civil society of NGOs would be working alongside the MOH& FW, EPI and MOLGRD activity.